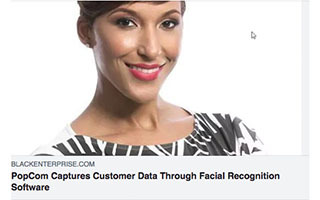 Dawn Dickson is CEO of PopCom, an automated retail company that uses facial recognition, A.I, and blockchain technology to help retailers collect valuable customer insights. 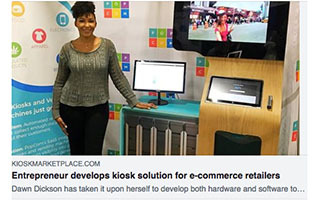 The first CRM, data, and analytics software provider for unattended retail, PopCom has developed technology to make kiosks and vending machines intelligent through data and analytics at the point of purchase. 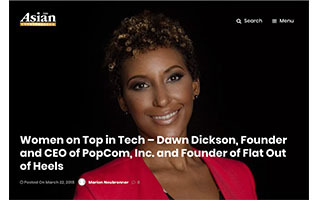 As a serial entrepreneur with over 16 years of experience in marketing and business development, Dawn launched four successful cash flow positive companies since 2002. 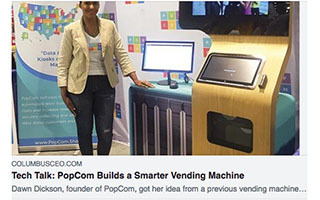 Her most recent ventures include Flat Out of Heels (rollable flats for women to get relief from painful heels), and PopCom, after identifying a need to make vending machines more intelligent. 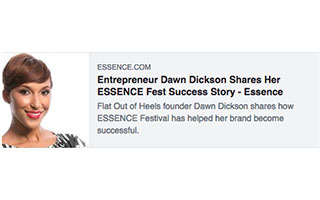 Dawn has received numerous awards and accolades for her business savvy and pitching skills, and has been invited to speak on numerous panels and workshops and featured in countless media outlets including Forbes, Black Enterprise, Fortune, Venture Beat, Huffington Post, Essence Magazine, The Miami Herald, CNBC/Yahoo series ‘The Biz Fix’ with Marcus Lemonis, and MSNBC ‘Your Biz’ Elevator Pitch. Dawn can also be heard on BARS!, a podcast full of free game for those who are, and those who are thinking about becoming entrepreneurs. 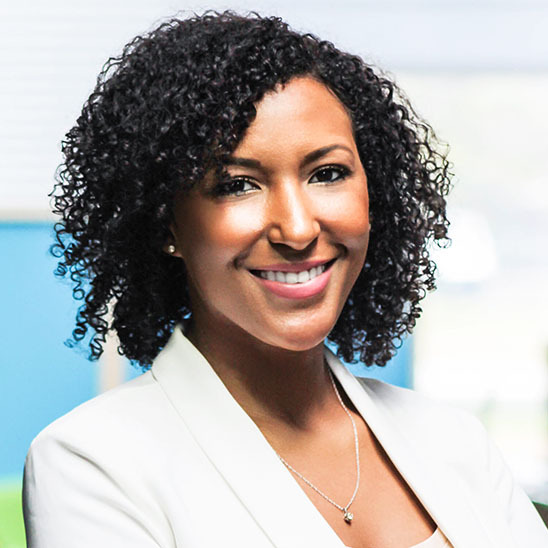 A recognized leader in entrepreneurship and digital marketing, Dawn is featured in Who’s Who in Black Columbus, Who Who’s in Black Atlanta, honored as one of Legacy Miami’s Top 40 Under 40 Leaders in South Florida, and listed among the ‘50 Young Visionary Women Leaders to Watch’ by Innov8tiv Magazine. 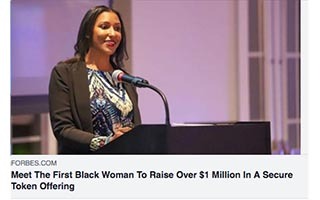 Dawn received her B.A. in Journalism from The Ohio State University. 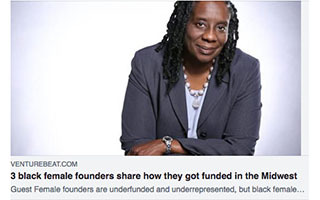 Additionally, Dawn was selected to participate in some of the nation’s top accelerator programs for entrepreneurs including the NewME (San Francisco), Canopy Boulder (Boulder, Colorado) and Techstars (Los Angeles) and is recognized as one of the nation’s top entrepreneurs on the rise. BARS! Live is a live interactive version of the BARS! Podcast hosted by Dawn Dickson and Kaleem Musa on Spotify, Apple, and Google. BARS! podcast was Inspired by an epic rant on Instagram Live about the state of entrepreneurship. In BARS! 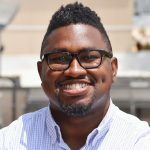 Dawn and her co-host Kaleem are giving a real-world perspective on entrepreneurship from starting a company to customer acquisition to raising capital. BARS! Is full of free game for those who are, and those who are thinking about becoming entrepreneurs, with a hip hop flavor. Topics can vary and are based on the seven episodes of the podcast. 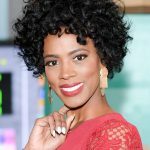 Dawn discusses her 18-year journey as a woman in technology and ways for other women to leverage their unique skill sets to design the life and business they have always desired. Topics include lifestyle design, the importance of self-care, quieting the noise in your life, finding your ‘why’ and staying true to yourself. 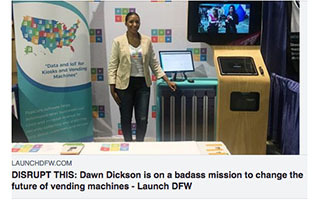 Dawn has won thousands of dollars and secured over $1.5 million in investments from pitch competitions, venture capitalists, and angel investors. 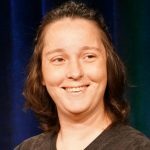 In this workshop or keynote, Dawn takes you step-by-step with key tips, vocabulary, and techniques on how to create the perfect pitch to attract customers and investors. Takeaways will be an editable investor deck template and a vocabulary list. 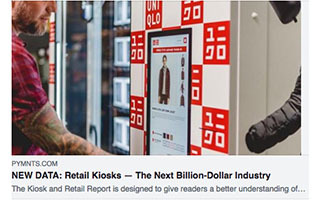 In this keynote, Dawn discusses the automated retail technology industry and how vending and kiosks are the future of omnichannel retail. 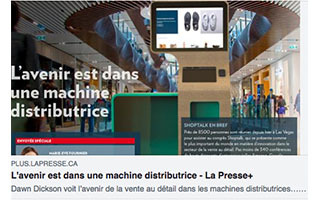 Topics include: how kiosks and vending machines are innovating retail, why omnichannel distribution is important, how small and medium-size companies can compete with Amazon through maximizing omnichannel distribution. 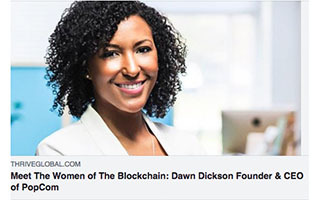 In this keynote, Dawn discusses how blockchain technology can be leveraged in retail, including for the use case of selling regulated retail products including cannabis, alcohol, and pharmaceuticals. 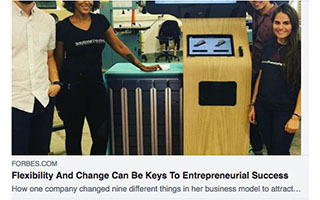 In this keynote or workshop, Dawn takes you through the various ways to secure capital for your business outside of the traditional venture capital or bank route. This talk focuses on the JOBS Act and SEC Title III Regulation CF and Regulation D rules around raising capital. 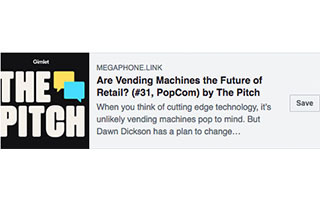 Gimlet Media: Are Vending Machine the Future of Retail? Top 5 #podcasts for us. Detach from things, people and practices that no longer serve you. When people ask me “what is one thing you would do if you knew you wouldn’t fail?” And my response was always “get married/have a life partner”...that level of vulnerability scared me...Very high failure rate and very little control over the outcome. I’ve evolved past that fear.